If you are planning to pick-up the LG G3 when it arrives on Verizon store shelves, prepare for a boatload of exclusive features that only the Big Red variant will carry. We are talking a slideout QWERTY keyboard, front physical dial pad, and an insanely high-res 2-inch front display. 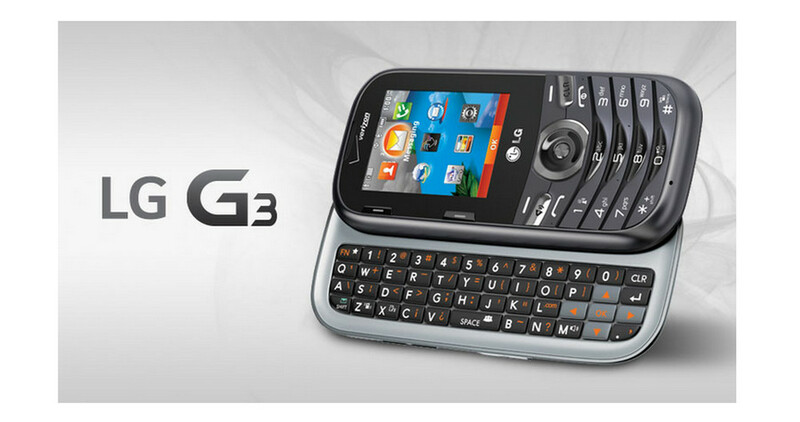 Think of the G3 with a set of features that no one has attempted to use since the death of the feature phone, in a good way. Verizon and LG are really trying to change the game here, which is not surprising knowing Verizon’s past of tweaking flagship phones for the better. Think of the Note 2 and the added bonus users received with a “Verizon Wireless” logo placed on the physical home button. Better than a fingerprint scanner, right? Or what about the removal of features like Blocking Mode from Samsung phones that were nothing but a nuisance and bloatware. Think of the constant reminder that you always wished you had to show that you were connected to WiFi or that you should try to connect to a nearby network. Verizon has always had you in mind when preparing to release a phone, which is why their version of the G3 will be unlike any other. 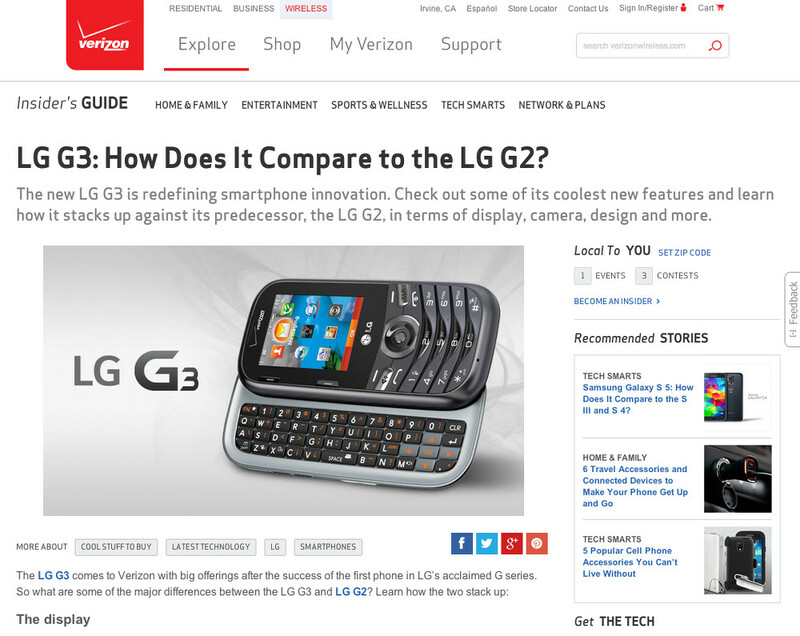 In case the sarcasm wasn’t thick enough or you are ultra-confused, we are referring to the image above that Verizon posted in a comparison of the G3 to the G2 through their Insider’s Guide. There are Photoshop fails, and then there are Photoshop fails. The proof is below since they will likely fix this before long. We got a good laugh out of it. Update: Boooo. Verizon pulled the page. Good thing we captured the magic below!